Lady Gaga Premieres New Piano Version of "Joanne"
Following some teasing, Lady Gaga has shared a new stripped-down version of her song "Joanne." Coming under the new title of "Joanne (Where Do You Think You're Goin'? 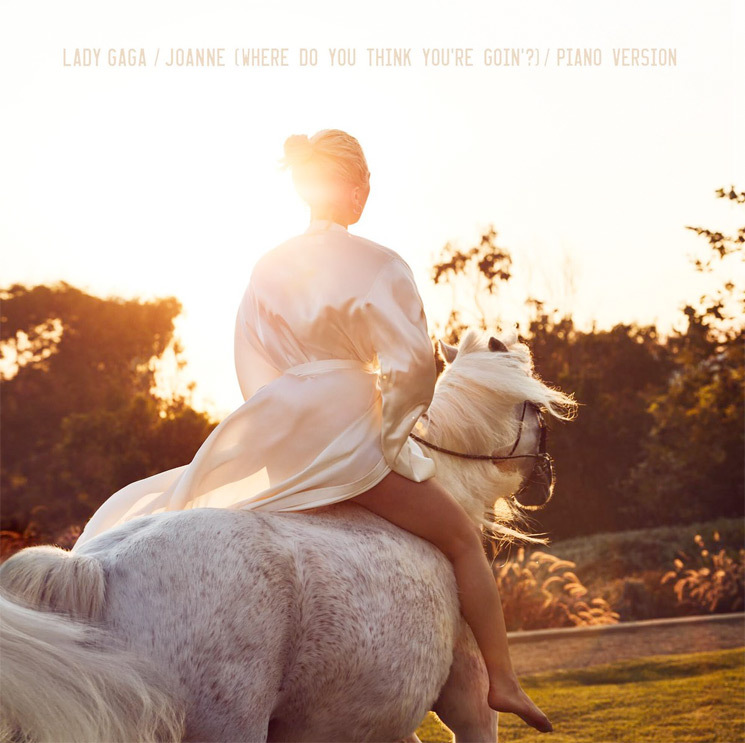 ), it's a piano rendition of the title track from her most recent long-player, 2016's Joanne. You can hear the new version for yourself below. This weekend, Gaga is set to perform at the Grammys when they go down on Sunday (January 28). As previously reported, she's also set to have her very own Las Vegas residency.